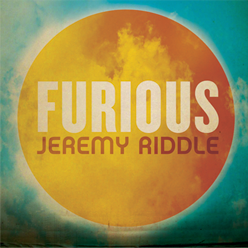 Jeremy Riddle just released his 3rd full length album from Vineyard Music called “Furious”. It is an interesting title for a worship album. The word conjures in most people’s mind the thought of extreme anger. However, this is not the thought of the artist. Jeremy says, “It is hard to come up with words that depict the magnitude of Christ’s love – the depth and width of it…I see it as a super-power force; stronger, deeper, broader than our vocabulary can fully describe.” When you listen to the song it’s easy to understand what it’s all about. Other titles in this album are “Love Came Down”, “You are Good”, “Lord my Shepherd”. I love the lyrics to “One Thirst”. 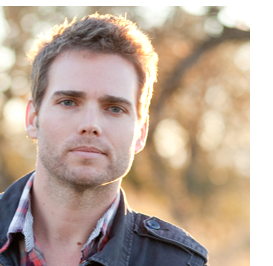 Visit www.jeremyriddle.net to listen to these songs. They will encourage you in your faith and build your devotion toward the Holy One. Be the first person to visit the website and leave a comment telling me what your favorite song is and I’ll send you your own copy of Jeremy Riddle’s Furious. Disclaimer: I received Furious in exchange for an honest product review. I do not receive any other form of compensation for the reviews posted on this blog. I like all of these songs, but I really liked the song “You are Good.” Just an awesome song for praising Him! LOVE his music! I’ll have Furious sent out asap! Blessings! Such amazing and uplifting music!! Love it!